Book Online at Voyage Prive and Enjoy a Weekend in Paris. The French capital City of Light, Love and Laughter, whilst staying in Luxurious Accommodation. Paris City is known to many people as “The City of Light” and it does not disappoint. Around every corner you will find something happening. If you don’t like it just turn another corner and there is sure to be something to tickle your fancy. With immense amounts of art, music, food, and architecture you will not run out of activities and attractions. You can step back from it all and simply enjoy the city for what it is, or you can immerse yourself fully in the Parisian culture, there is no right way to enjoy the city. 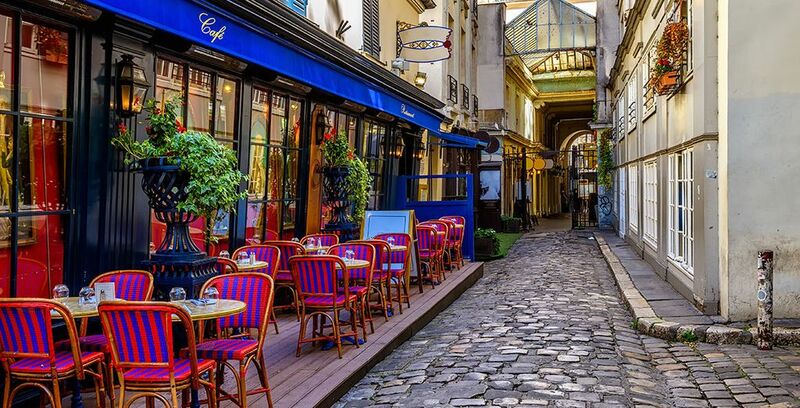 While you can stand and enjoy the regular tourist sights of Paris, like the Eiffel Tower, you can also drift off into the city’s streets to enjoy some of the best food in the world, surrounded by beautiful architecture at every turn. If art takes your fancy then look no further as Paris is filled with the finest galleries that will suit anyone’s needs. From The Louvre Museum, with Leonardo da Vinci’s Mona Lisa, to the Impressionist classics featured on the walls of the Musée de l’Orangerie, or the Musée d'Orsay, you will be able to view some of the most world-renowned art. If art isn’t what you want, then relax and enjoy music in one of the many concert halls or music venues Paris has to offer that are scattered around the city. There is so much to Parisian culture that everyone will find something that they enjoy. If you want a city where you can avoid the hustle and bustle of the city streets, while still staying in the midst of what is happening, then Paris is the place to be. With more than 400 parks spanning the city and only 17 recognised skyscrapers, taking a break from the city life will be easy, so you can sit back and take in the views without having to go the distance. You can cycle or just walk around these spaces, taking in your natural surroundings. In the centre of the city, you can find the Tuileries Garden, and as it is walking distance from the Louvre and the Seine, you can sit and ponder the art you have just witnessed or the beautiful boat ride you've just taken. Whether you wish to walk around the magnificent ponds, look at the ancient statues situated around the space, or simply sit on a bench and take a break from it all, you can do all this and more while never leaving the city centre. If you wish to venture out of the city more to explore, you can find yourself out of the tourist traps and into the beautiful Parc des Buttes-Chaumont. With its majestic greenery and scenic views, you can take a break, making it feel like you’re not in a city at all. Kick back and enjoy this old quarry for what it is now, one of the most amazing and stunning parks in the whole of Paris. Walking through them on any day of the year will leave you astounded as to how a city can have so much green and open space. From medieval times all the way up to the 20th century, Paris has a fascinating history and one that is easily accessible to any visitor. Ranging from the maze of catacombs that worm their way unseen under the road network of the city to the Pays de Meaux Museum that pays tribute to the First World War. As a city, there is so much to learn about Paris and its making, and you could be among it all. As the capital city of France, Paris has seen its fair share of rulers and historical figures and the city is not going to forget this. There are monuments across the city, from the Arc de Triomphe to the Luxor Obelisk, and there are museums and historical buildings galore. Just wandering around trying to get your bearings will undoubtedly have you stumbling across some of Paris’ richest heritage, be it a museum, a statue, or even a historical sewer system. The city is dripping with history that most people don’t think of, but Paris has a complex history that can be seen in their magical streets and impressive buildings, from the Notre Dame cathedral to the Sacre Coeur Basilica. Don't hesitate to go for sightseeing booking tour with bus or cruise to enjoy Paris. Just walking the streets of Paris of an evening is equally as enjoyable as any activities you can think of. Walk along The Seine and feel the breeze drift over you. Scour the streets looking for the best eateries, cafes and try delicious steak frites or enjoy raclette and red wine of an evening. There is always something to do. During the summer there are a multitude of events to choose from, but this is not exclusive to the summer as the winter brings many festivals and is much less busy than the rest of the year. 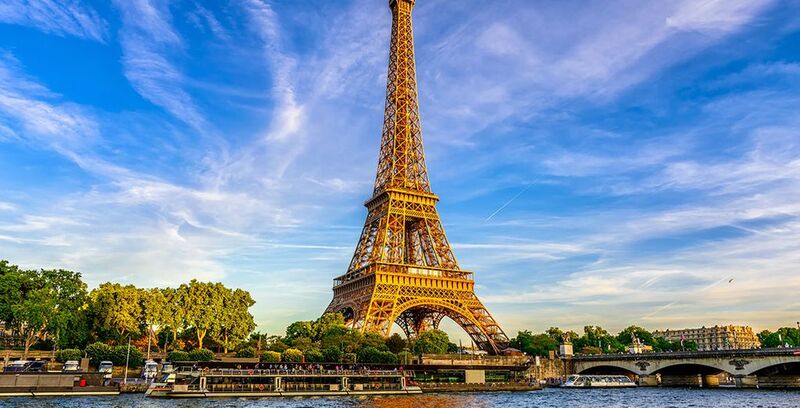 You can make of Paris what you want and either see the sights or kick back and enjoy the feeling of another city as you soak it in from the shops and bistros on the Champs Elysees. Enjoy a weekend in Paris and everyone can find something they love about the city. Romantic destination, don't hesitate to stroll and visit the areas of Paris as Montmartre, the Marais, the Opera, Montparnasse, Luxembourg garden, Bastille or the latin quarter. It's also very easy to moove in or outside Paris to visit the famous Palace of Versailles, or spend a great family holiday in Disneyland Paris. In the Walt Disney Studios park, and the Disney Village, you will meet your favourite Disney characters and live the Disney dream. If you prefer stay closer to the Disney Park you can check our special offers on Disneyland Paris hotels: holidays to Disneyland Paris. Stay in a fantastic hotel and wake up to the bustling streets of the city below you as you get ready for the adventures that lie ahead. As “The City of Lights”, Paris will not fail to light up your city break as you escape from the stress of everyday life or just wish to see more of the world. For exclusive discounts, sign up today and stay in some of the best luxury hotels in Paris! Discover more offers with our secret escapes offers.